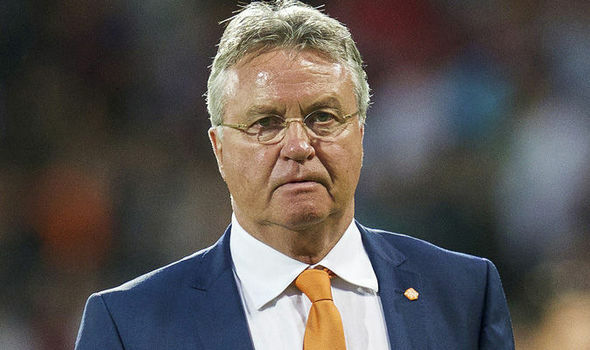 Guus Hiddink believes that Chelsea were disappointing in the 3-0 loss against Manchester City because some of the players may have started to focus on the Euro 2016. 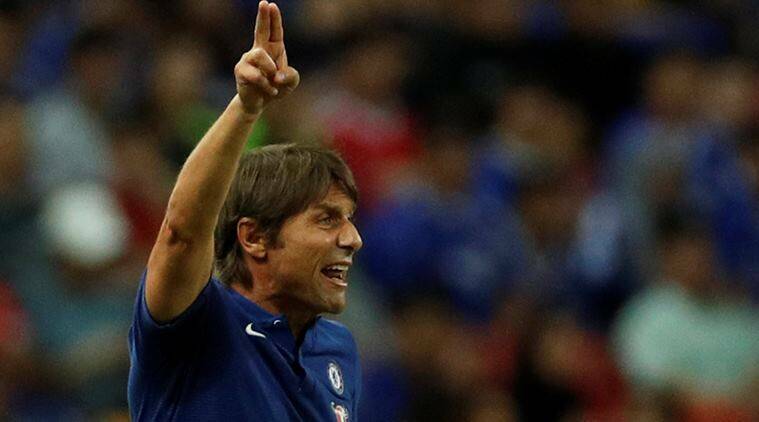 The summer bonanza is now the biggest prize for many of the Chelsea players like Diego Costa, Cesc Fabregas, and so on. The large number of European-based players in the Chelsea squad could be blamed for the loss, according to Hiddink. The blues were lambasted by several pundits for their unprofessional attitude in this game. For much of the opening minutes, Chelsea played with zest and endeavour but they were undone by a fortunate goal for City. Jose Mourinho will not be repeating the success of his first season in his first spell as Chelsea manager, as the Blues lost the League Cup quarter final with Sunderland after extra time at the Stadium of Light. The visitors dominated the majority of the ninety minutes, and took the lead when Lee Cattermole turned into his own net just after the break. Former Chelsea forward Fabio Borini then drew the hosts level late on to send the game into extra time, and with the tie heading towards a penalty shoot-out, Ki Sung Yueng thumped in the winner for Gus Poyet’s men. The Blues will now turn their attention to Monday evening’s clash with Premier League leaders Arsenal, where victory will see them top the table for Christmas, should Liverpool fail to beat Cardiff City on Saturday afternoon. Last night’s result has led to Mourinho claiming that he may rethink his attacking approach, while he may still add another striker when the transfer window reopens next month. The Metro understands that Porto’s Jackson Martinez and Christian Benteke of Aston Villa are both options as his current front line continue to struggle. Fernando Torres, Demba Ba, Andre Schurrle and Samuel Eto’o have just sixteen goals between them in all competitions this season. Chelsea forward Andre Schurrle has said that he and his Germany side won’t take England lightly in tomorrow evening’s friendly international at Wembley, Sky Sports understands. The 23 year old name-checked club teammates Ashley Cole, Gary Cahill and Frank Lampard, Arsenal’s Jack Wilshere and Wayne Rooney of Manchester United as just some of the good players manager Roy Hodgson has at his disposal, whilst adding that Joachim Low’s side have much respect for their opposition. Having gave three players their Three Lions’ debut in the 2-0 defeat to Chile on Friday evening, Hodgson is set name his strongest side tomorrow, with Blues defender Ashley Cole one of the seasoned internationals likely to return. If selected, Cole will become the nation’s sixth most capped international outright and former England striker Stan Collymore believes that he will get the nod ahead of Everton’s Leighton Baines as the first choice left back in Brazil next summer. Elsewhere, Patrick Bamford has been called into the England U21 squad for tomorrow’s game against San Marino, according to Sky Sports. The as yet uncapped 20 year old, who moved to Stamford Bridge from Nottingham Forest last January has been in great goal-scoring form since moving to MK Dons on loan twelve months ago. A last minute winner from Fernando Torres secured a 2-1 victory for Chelsea against Manchester City at Stamford Bridge yesterday afternoon. Andre Schurrle opened the scoring on thirty-three minutes with his first goal for the club, only for Sergio Aguero to pull the visitors level four minutes into the second half. The game looked to heading for a draw before Fernando Torres capitalised on a defensive mix up to steal in and grab the winner on ninety minutes to hand all three points to Jose Mourinho’s men, and keep the pressure on leaders Arsenal who beat lowly Crystal Palace on Saturday. The Blues will reclaim top spot if they beat Newcastle United on Saturday lunchtime, with Arsenal hosting Liverpool in the day’s late kick off. However, they will first turn their attention to the League Cup fourth round tie with the Gunners at the Emirates tomorrow evening. Meanwhile, the Blues will reignite their interest in Manchester United’s Wayne Rooney when the transfer window reopens in January, according to the Mirror. Mourinho failed in his attempts to take the England international, who’s current deal at United expires at the end of next season, to Stamford Bridge in the summer.